The SELECT statement is used to display data from a table. To display all data from a table use select(*) statement and to display particular field’s data use select filed1,filed2 at the place of (*). The example above stores the data returned by the mysql_query( ) function in the $data variable. Next, we use the mysql_fetch_array( ) function to return the first row from the recordset as an array. 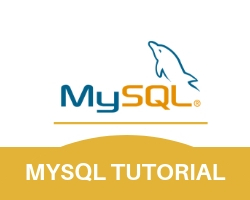 Each call to mysql_fetch_array( ) returns the next row in the recordset. The while loop loops through all the records in the recordset. To print the value of each row, we use the PHP $r variable ($r[’emp_id’], $r[‘name’],$r[’email’] and $r[‘mobile’]). Next, we use the mysql_fetch_array( ) function to return the first row from the recordset as list($id,$name,$eid,$mob) funtion in variable $id,$name,$eid,$mob. 1st field values stored in $id, 2nd in $name, 3rd in $eid and 4th values in $mob . Now print variables $id, $name, $eid, $mob.